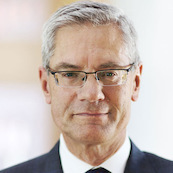 Mr. Magnus Hall, M.Sc., serves as the Chief Executive Officer and President at Vattenfall AB. Mr. Hall served as the Chief Executive Officer and President at Holmen Aktiebolag (publ) from April 1, 2004 to April 8, 2014. Mr. Hall served as the President of Holmen Paper AB from 2001 to 2004, Marketing Director from 1997 to 2001 and also as its Sales Director from 1995 to 1997. He joined Holmen in 1985. Mr. Hall serves as Chairman of Industrikraft I Sverige AB. He has been the Chairman of Supervisory Board at N.V. Nuon Energy Sourcing B.V. since October 2014. He served as Chairman of the Board at Innventia AB until August 13, 2015. He serves as Vice Chairman of media group NTM and Linköping University. He serves as Director of AMF Pensionsförsäkring AB. Mr. Hall served as a Director of Holmen Aktiebolag (publ) from 2004 to April 8, 2014. He obtained his MSc in Industrial Engineering and Management at the Linköping University and studied as a Fulbright scholar at Georgetown University.